These days in many pops up adverts we see slimming products claiming to have extracts of African mango. But have you ever wondered what’s so special about this mango that numerous slimming products in the market claim to have the extract of it and how it helps to lose weight??? Well, we got the answer of all your quarries regarding African mango. African mango or Irvingia Gabonensis is the new revolutionary product in the market of slimming pills or supplements; this wild fruit claims to help in drastic weight loss by improving the fat, cholesterol, lipid profile and leptin levels in our blood and this fact is also being proved by many scientific studies. But we have to understand that Irvingia Gabonensis origins from Mangifera family which is far different from the mangoes usually available in markets around us. Irvingia Gabonensis which is widely known as African Mango belongs from the Guinean rainforests of West Africa. The seeds of this wild fruit are used for more than a century now by the tribal inhabitants of that region for some medical purposes. To our surprise these wild fruits have the similar taste like the mangoes available in markets but the extracts from the seeds of this fruit is used for improving fat levels in our blood. The nuts of the fruit are dried and ground into a powder which is used to make bread and most importantly to make slimming products like capsules, liquids, and powders. It has been found in many types of research that the extract from the seed of African Mango increase adiponectin the inflammatory hormone levels which help to control diabetes and cardiovascular diseases. This hormone is secreted from the fat cells and it increases fat metabolism and blood sugar absorption. Researchers suggest to consume the soluble fiber content of African Mango to reduce belly fat, it also claims to lower triglycerides and get rid of cholesterol. But all these research were sponsored by supplement makers so a question sustains on the reliability of all these news. Judith Ngondi, from the University of Yaounde in Cameroon, and her co-workers (2005; 2009) have proven with scientific analysis that the fruit helps to curb obesity and also improve the blood’s fat levels. In the first study, Ngondi and the researchers carefully investigated the properties of the African mango and evaluated the effect of the mango on obesity. The test was carried out on 40 obese people with BMI’s over 25, averaging 42 years of age. After dividing the 40 people into two groups, one group was given African mango extracts in the form of three 350 mg capsules which is an average intake of 3.15 gm a day. The other group was given tablets with Oat Bran. The treatment/study lasted four weeks, and high energy food was given to all the subjects the whole time so that there may not be any other reason that could cause any kind of weight loss. The results were really astonishing. The African mango group lost an average 5.3 percent of the body weight with significant reductions in the waist and hip regions. The Oat Bran group only managed to lose 1.3 percent of the body weight. The African mango group also noted considerable reductions in the blood cholesterol levels by 39.2%, “bad” LDL cholesterol by 45.6%, and triglycerides by 44.9% . Another fact that really proved the efficiency of the mango was that the “good” HDL cholesterol levels increased by 46.9% in the group receiving African mango. No significant changes were found in the other group as far as the blood fat levels are concerned. The second study was carried on by the same set of researchers in the year 2009. This time, it was done with an extract of the seed of Irvingia gabonensis called IGOB131. The test was carried on 102 healthy individuals and it lasted for 10 months. The results were found to be similar and the African mango had again shown very promising results. Thus ,the African mango has been touted to be the next big thing in the slimming industry and might be an effective agent to fight global obesity issue. 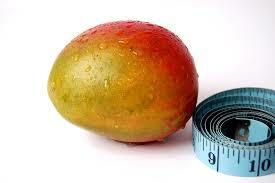 The main question that now arises in the mind is that how does this Mango work so efficiently in reducing the weight. Ngondi’s team of researchers have the answer to the question as well. They believe that the African Mango’s seeds work like a “bulk-forming” laxative. They work similarly like water soluble fibers and cause the body to absorb glucose into the blood in a more controlled and slower fashion. This helps control the levels of insulin in the body. The soluble fibers are very effective in binding the bile acids in the gut and releasing them via stools. This helps to effectively lower the blood cholesterol levels and maintain a healthy and fit body. The soluble fiber in the African mango has a similar effect on other standard water-soluble fibers, as well, which helps one to further reduce weight loss and lower the lipid concentration in the body. The slimming pills market is booming with many different products claiming to be wonder pills. But do they actually work? This is the big question. African mango has become one of the most sought after ingredients in these slimming pills. The manufacturers are promising that these pills are the wonder pills that will show amazing results but, since everybody is different, the buyer needs to do his research to make sure whether these pills do actually work for them or not. Also, remember that there is still a certain amount of research to be done on the product to ascertain any sort of side effects that might be attached to it. Although no major negative effects have made headlines, it’s not a bad idea to wait until the more significant research is done on the product before starting a major regime. If you do decide to try this product, keep in mind the dosage used by the researchers in the experiments, as well as the fact that the subject was obese, and not just slightly overweight. Many weight loss products containing African mango also contain all kinds of other herbal ingredients that are thought to be good slimming agents but have not been tested and proven yet. These might be adverse for your health and might cause your health to deteriorate. So definitely do your research, no matter what you take. The fleshy part of African Mango is used to make jam, jelly, fruit juices and even wine. The pulp of African mango is also being used to prepare dyes that are used to color clothes. The seeds of African mangoes are also known as Dika nuts, which can be consumed in the raw state or as roasted. The seeds are pounded to chocolate kinda blocks so they can be easily pressed to produce edible oils which are used for cooking. The oils that can be extracted from these seeds can also be used to make cosmetics and beauty soaps. Tons of Dika seeds are being exported to other countries and traded within Africa for its miraculous effects. The African Mango trees are used in agroforestry as shade for other crops like coffee and cocoa. And the dried branches are used as fuels by the tribes. In comparison with other foods that claim to reduce body weight, African mango has recently hit slimming supplement market. It has been seen in a study that consumption of 150mg of Dika seed twice a day helps to reduce body weight within a noticeable period of time. It also helps to improve cholesterol, the glucose level in blood, leptin levels, C-reactive protein and adiponectin and that too without adapting other dietary charts or healthy habits. Unlike other slimming products it also helps to reduce weight but along with that African mango helps to lower the risk of cardiovascular diseases with its regular consumption. The soluble fibers in Dika seeds help to bind bile acids and remove them through excretion. And that pushes the body to produce more bile acids from cholesterol by this the blood fats are reduced. Though it is almost similar to water soluble fibers but it’s uniqueness as a weight reducing foodstuff is because of its lipid-lowering ability. Is it worth trying once? At the initial stage, you might get some benefits for using African Mango supplements but it doesn’t seem that much promising. Like other weight loss supplements, African mango also helps to lose weight but not that much as it’s being showed in adverts. This product can easily be adopted as a part of regular diet plan but not with a hope to get noticeable results within a couple of weeks. This product is basically for those who want to lose weight without starving or doing any exercise. Now they can easily shed kilos without torturing themselves with harsh chemicals as this African Mango is a completely natural remedy for weight loss. As African Mango is a natural product so its side effects are not a major issue but before making this a part of your dietary plan you must know what you would face after its consumption. The side effects are a mild headache, dry mouth, bloating and difficulty in sleeping. Some people had headaches after taking this weight loss supplement, nothing severe but the regular we sometimes get after starting a detox. As the toxins leave the fat cells during detox and go into the blood that’s why some people get a mild headache after taking Dika seed extracts. As we all know that African Mango or the Dika seed extracts help in suppressing leptin levels so consumption of more water helps to manage the hunger. So people usually get thirsty after consumption of African Mango or Dika seeds as well. 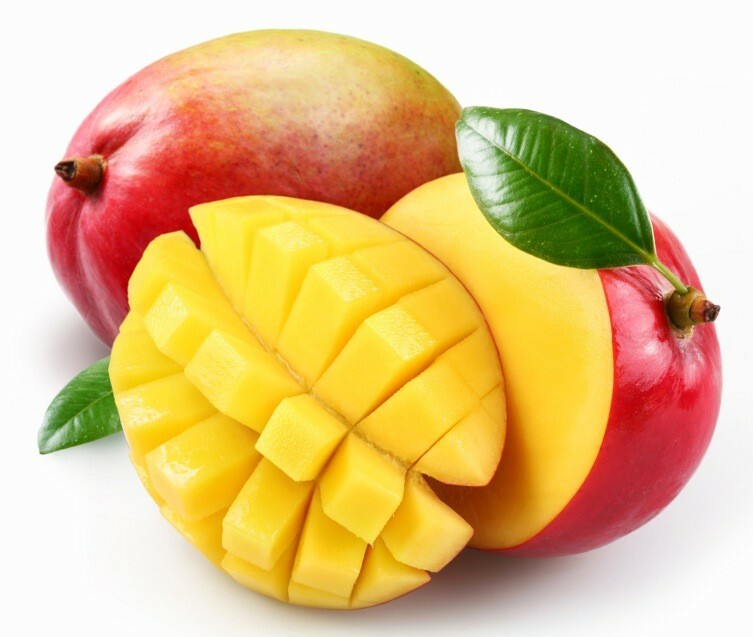 As African mango contains soluble fiber so bloating is a general issue after its consumption. The highly fibrous contents in Dika seeds led to bloating. When you start a weight loss plan many changes takes place like insomnia, changes in sleeping pattern and lot more. And another reason is a fit and healthy body needs less amount of rest so this could be another reason for the difficulty in sleeping after consumption of African Mango or Dika seeds. So African Mango or Irvingia Gabonensis is a wonder foodstuff that helps in weight loss. But unlike the fleshy part, the extract of the seed or nut of the fruit is being used by many weight loss supplement companies in their products as it helps in lowering fat and cholesterol levels. This natural weight loss supplement has very fewer side effects so it can be easily adapted for weight loss processes without making any changes in your regular diet plans it helps to shed kilos within a couple of months. But fewer studies and researches are being conducted on this matter so it doesn’t seem to be a promising product. For more fitness and health tips like this stay connected and till then happy dieting !! !